It is replaced by the Motorola DS457. 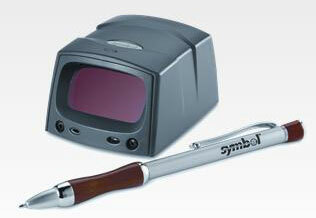 The Symbol MiniScan MS2204 offers four scan patterns including omnidirectional for rapid capture of barcodes and symbols. This versatility minimizes the need for precise positioning of linear 1D barcodes, allowing even novice users to effectively scan data.The smart raster pattern excels at reading 2D symbols, even those that are poorly printed or low-contrast. Ruggedly constructed, this device is ideal for such applications as kiosks, ATMs, assembly lines and point-of-sale devices.